At Present 22395 Branches of India Post are working on CBS Platform. We can say India Post has highest no. of branches than any Nationalize Bank. The SB account facility is provided by both India Post and Bank. There are various charges behind it. The following main charges are comprised here. 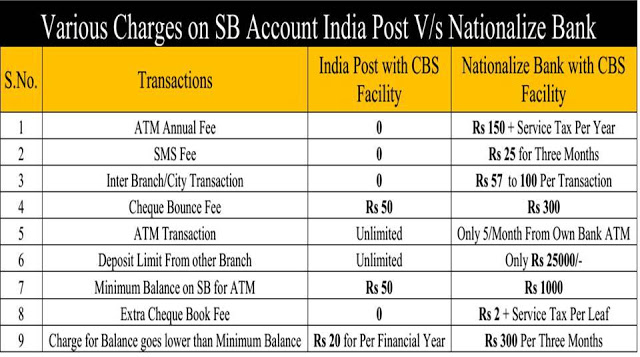 Now the analysis prove that facilities of India Post are cheaper than any other Bank. This is a satisfaction conclusion that we facilitate our customer with high class services at lower charges.